First and foremost, I wanted to wish everyone a Happy Memorial Day! Today is dedicated to the many American soldiers who have loyally served in the Armed Forces of the United States of America. All gave some – Some gave all. Photo from National D-Day Memorial in Bedford, VA. This past weekend was a fun one (and it’s still going on, since I have the day off of work today). My little sister came down to visit, and got here on Thursday evening. I had to work a half day on Friday, and then my long weekend got started. It was a beautiful day out, so my sister and I took the dogs for a walk and then she suggested we go geocaching. I hadn’t ever heard of geocaching before, but it’s like a big treasure hunt that you can play all over the country (and world, I think). There are probably some geocaches where you live – and if you have a smart phone there’s an app you can use to find them. You’ll be told the general area, and then be given a clue. My little sister and I found four in a park near my house and a few more in town. It was fun searching for them and satisfying to find them! There was only one we weren’t able to find. My first geocache! Look close, it’s tiny! Inside each geocache was a roll of paper where you logged your name and date of your find. It was neat to see others who had found them as well! After spending time doing that, we came home and had dinner with Barry. Then we headed out for the main purpose of my sister’s visit: to see Pitch Perfect 2. We both loved it, so if you were a fan of Pitch Perfect, go see the second one! The majority of the day Saturday was spent hiking on the Appalachian Trail with my little sister (Barry was off of work, but was off cutting wood for the day). We hiked from Pearisburg up to Angel’s Rest and the Wilburn Valley overlook. It was a gorgeous day to be outside, and a great, but strenuous, hike. We also met a few thru hikers! More details (and pictures!) later this week. Saturday evening, Barry, my little sister, and I all had dinner together and then broke in my new Dutch Blitz card game! We capped off the night by watching the movie Wild. I’ve been reading the book (I’m about 3/4th of the way through), and we were inspired to watch the movie after seeing all of the AT hikers! Yesterday we said goodbye to my little sister, as she headed back home, and then pretty much had a lazy day for the most part. I chose to stay inside most of the day (even though it was another gorgeous day) because I was pretty miserable from my allergies, due to spending so much time outside Friday and Saturday. Hay cutting time is not a great time for me. But I did get in a short run on the treadmill, give the dogs baths, and clean the camper so it’s ready for our next trip in a few weeks! Today I have the day off of work and I’m planning to take advantage of that with a long trail run. I hope y’all have a great Memorial Day! P.S. If you are thinking about signing up for a Spartan Race, now is the time to do it! They’ve got a Memorial Day special going on now through Wednesday, May 27 for up to $40 off (depending on which race distance you sign up for). I had a blast last year, and highly recommend it if you are considering an obstacle course race!! Geocaching is cool! My sister got my neice and nephew into it. I like it because the kids are excited to go hiking with us if it means they can search for geocaches along the way. I loved Wild. It made me want to hike the PCT. Looks like you and your sister had an awesome hike. We’ve done a lot of geocaching – it’s fun, even if you don’t always find the cache. Have a great Memorial Day! It is a lot of fun! I’m glad we found 5 out of the 6 we searched for, though. Not finding one was okay, but it wouldn’t have been much fun if we hadn’t been able to find any. Enjoyed a few days off and honored those that gave all. After all, that is what Memorial Day is all about. Very true! Glad you enjoyed your time off. Yay that you had such a great weekend with your sister! The AT sounds like so much fun to hike, especially if you saw some through hikers. Is it as long as the Pacific trail? The Google machine says the PCT is 2,660 miles, and the AT is 2,200 miles. AT fun fact: Virginia is home to the most miles of any state the AT passes through, with 550 miles! Thank you for the memorial day shout out, it’s so important to remember why we are celebrating that day. Looks like an awesome weekend, can’t wait to see your long trail run. Everything this weekend was about memorial day. I got in two remembrance runs at it was awesome. Definitely. I think people sometimes mix up Veteran’s Day and Memorial Day. Glad you were able to get in a couple of remembrance runs in honor of Memorial Day! I had heard of geocaching, but have never tried it. Sounds like fun! 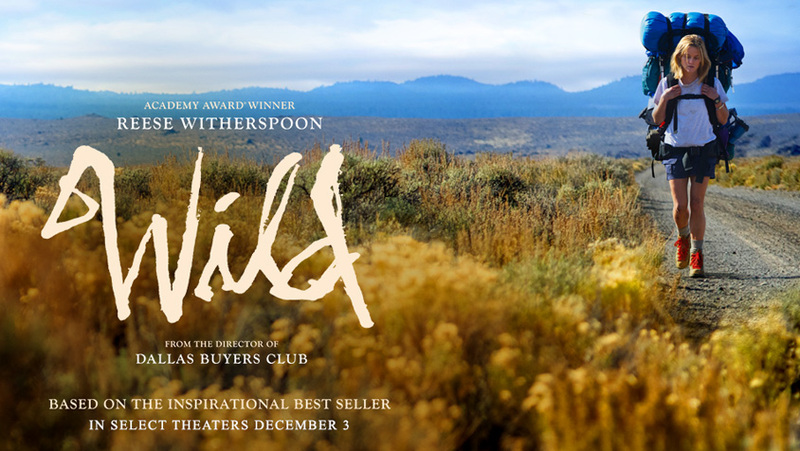 How did you like the movie Wild? I read the book, and loved it. Then I heard that the movie was not all that great, in comparison, but I really liked it and thought Reese Witherspoon did a great job with the character. It is fun! You should give it a try sometime. I had heard people didn’t think the movie was very good either, but I liked it as well. I think it depends on whether or not people like Reese Witherspoon.